I’m sorry to say there’s not much to report today!! 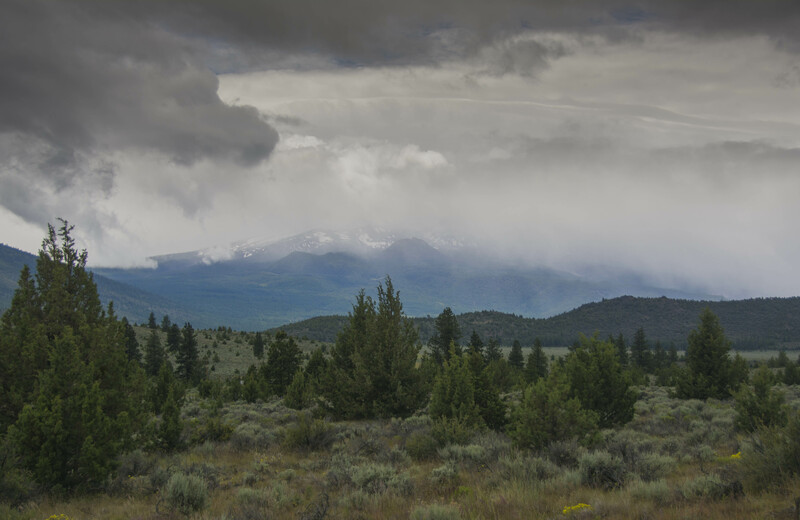 We’ve driven up from Mount Shasta to Klamath Falls but it only took us a couple of hours and it rained most of the way. The clouds are very low over the mountains. Mount Shasta – the best shot we could get! 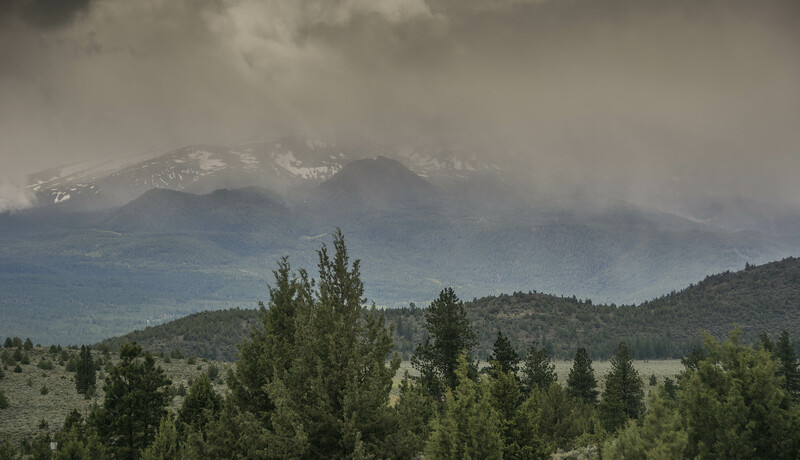 We did have one stroke of luck as we left Mount Shasta and that was to arrive at a view point of the mountain just as the sun came out for a second and showed the snow on top. We are supposed to be ‘doing’ Crater Lake tomorrow before moving onto Portland on Thursday but we are told the weather will be bad again so we will have to wait and see what occurs in the morning. I’m sure there must be some good shops around here somewhere!! Maybe we could get Si that extra jumper. 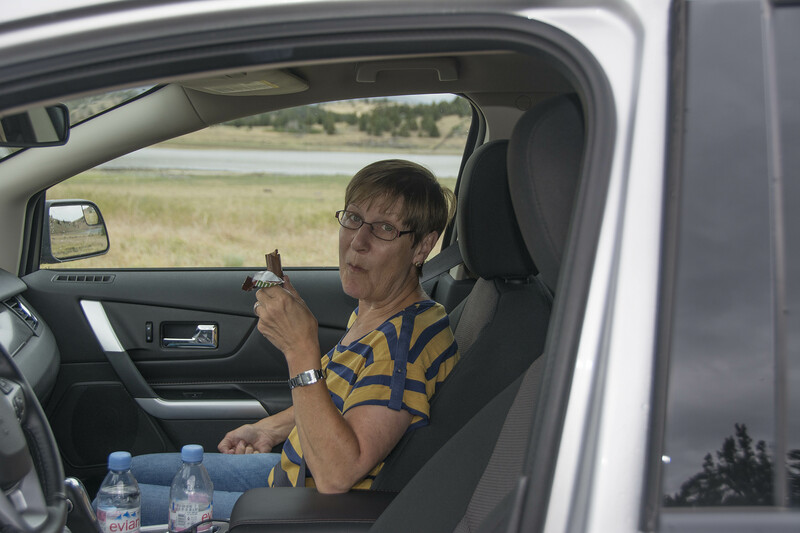 Me doing what I do best ……….. eating chocolate! 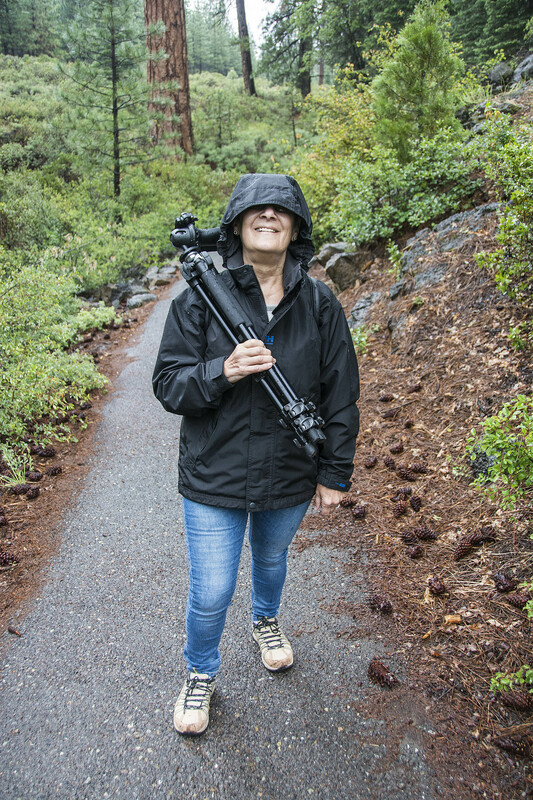 As we are a little short on photos today, here’s a funny shot of me taken in the rain yesterday and one Si took today of me eating chocolate!! How come I never manage to get a funny picture of Si? The hotel we are in at the moment is giving away free soup and bread at 4.30 pm so as it’s such an awful cold day, only 56 degrees F. at the moment, perhaps us ‘old folk’ should trundle down to take advantage of their kindness to feed the poor and hungry!! I’ve got my phone ready Nat for an embarrassing pic but I only seem to get them when he’s eating. Those shots of Mount Shasta are still pretty amazing. So, you need funny pics of Si. He’s a sly one, good luck with that! I think the only time I’ll get a funny shot of Si is when he’s eating. I’ll have my phone at the ready! !